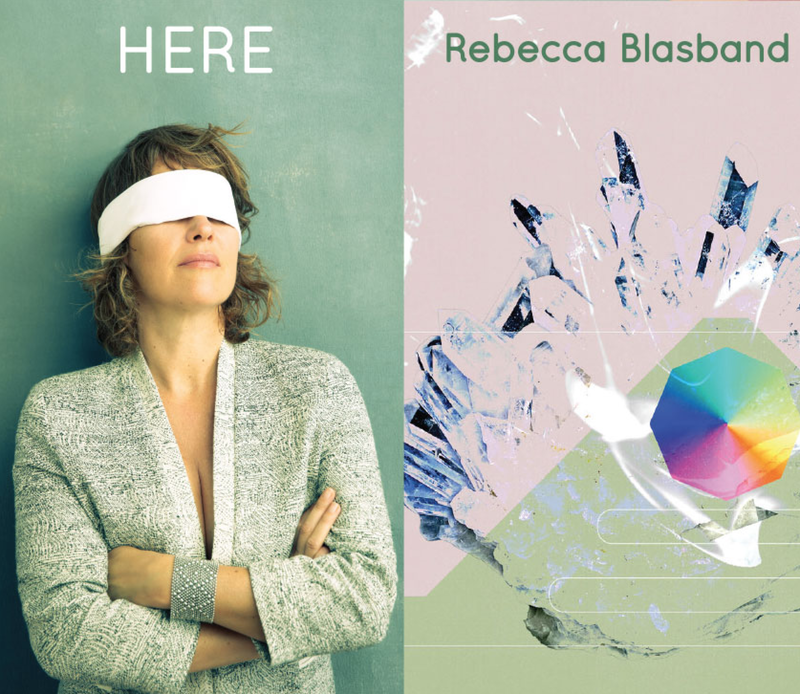 Singer/songwriter Rebecca Blasband unleashes a melodic titan of an album in her latest effort Here, which is a delightful yet formidable fusion of pop melodies and folk songcraft and comes to us as diversely appointed as anything 2018 has had to offer. Blasband has never sounded so comfortable in the studio to date; from the slow beats of the title track to the power pop of carefree folk rockers like “Those Happy Days,” her command of the microphone is dominant and precise. She touches on a lot of ground with Here and never comes across as anything but swaggering in her execution. There’s shades of classic rock, country, blues, traditional folk music and even crossover jazz to behold in these eleven tracks, but as immensely multifaceted as the content is we immediately get the impression that this release was a well-thought out concept that was born of Blasband’s own ambitions. The coffee house folk singer element in “Walking on Water” isn’t conjured up exclusively from the brittle acoustic guitar that pushes the song along. If that were the case, we wouldn’t find a familiar tone in the exotic “Fool’s Heaven” or the bulging “Ghost Song,” both of which utilize a mix that doesn’t put the string parts front and center. That folkie energy is coming squarely from Blasband, whose voice chimes into the exuberant rhythms and stretches out their buoyancy until we’re as tranquil as her serenading is. Obviously some of the songs, “Way of the World” in particular, were designed to trap us in the trance of the guitars, but Blasband never becomes reliant on their melodies to bail her out of tense situations. In the first track on Here, “Love Is,” a piano gently accompanies the vocals as they weave a harmony that is translucent and fleeting, but it’s so affecting that it somewhat overshadows the actual substance of what the lyrics are conveying to us. This song, “Who the Hell is Peter Brown?” and “Long Distance Love Affair” are great examples of what surrealism in contemporary pop should sound like. They don’t go out of their way to dazzle us with virtuosity or pomp; instead they’re constructed out of shapeless melodies that are refined over the course of their individual compositions, making the music ultimately sound like a dream instead of a studio recording. The flow of Here makes it a really great listen on a rainy afternoon when there’s nothing to do but contemplate our inner thoughts. Blasband does a lot of thinking out loud in this record, dispensing soulful monologues in “Target” and “Gotta Work It Out” as if she were trying to impart us with some crucial life advice. The emotion is plentiful in her latest album, and if you listen closely enough to the music, you’ll find her feelings reflected in the minute nuances that lie just beneath the surface of these grooves. This is as vulnerable a piece as we’ve ever heard from her, and I for one was taken aback by its robust tonality and earnest narratives. I highly recommend this record for anyone currently looking for pop music that is more in love with artistry itself than it is the image of its artist.